One of our biggest points of pride is how sleek and easy-to-use our quote page is. Once you've loaded in all your carriers and shipping locations, the quoting basics are super straight-forward: enter in your origin/destination info, weight, class, packaging info, etc. But whether you're a seasoned Freightview user or you're just getting started, we want to make sure you have a comprehensive understanding of all the handy ins and outs of our quote page. 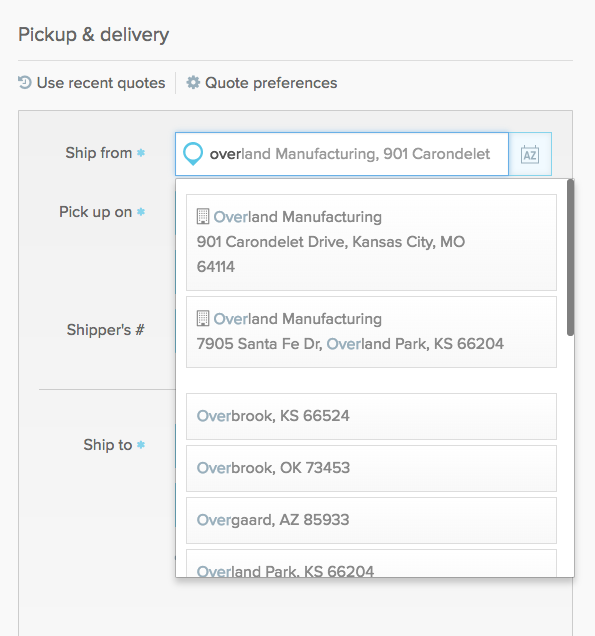 You can add accessorials to your shipment by clicking the dropdown beneath the origin/destination fields. 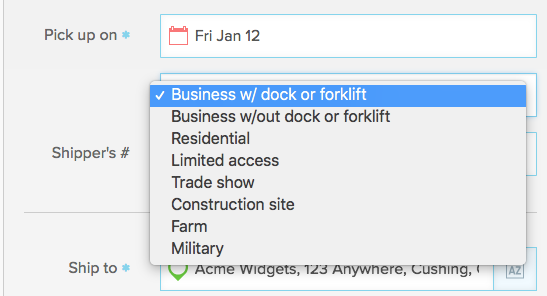 We default to "Business with dock/forklift," which will add no additional accessorial charges, but you can select different location types and more accessorial options will appear. If you're shipping more than one item, you can click "Add shipping item" and fill in the dims, weight, packaging type, and class for your next item. You can view any shipping items you add by clicking the numbered tabs toward the top of the quote form. To remove a shipping item, click the numbered tab you'd like to delete and click the "x" button. The gear button above your origin information will allow you to change your quote preferences. Freightview automatically remembers the shipment origin from the last quote you ran. 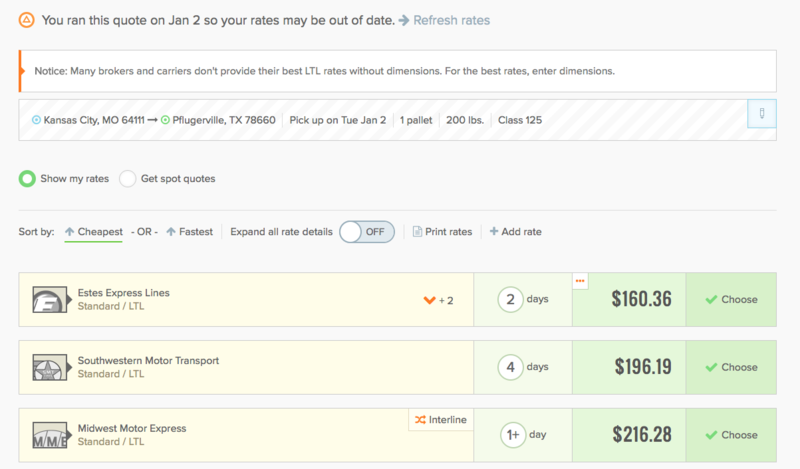 The Quote Preferences page allows you to change the details that Freightview remembers each time you run a quote. You can even choose to remember specific information about your products. Located toward the top left side of the quote fields, this button will pull up the quotes you recently ran on Freightview. When you click a quote on the Recent Quotes list, it will route you to a page that shows the full quote details and all of your carrier rates. You can click the button at the top in order to refresh the rates and get an up-to-date quote. In addition, you can filter the results on your recent quotes. If you would like to see the quotes that every person in your company has run, check the box that says "show company-wide quotes." If you would just like to see the quotes that you've run, uncheck that box. 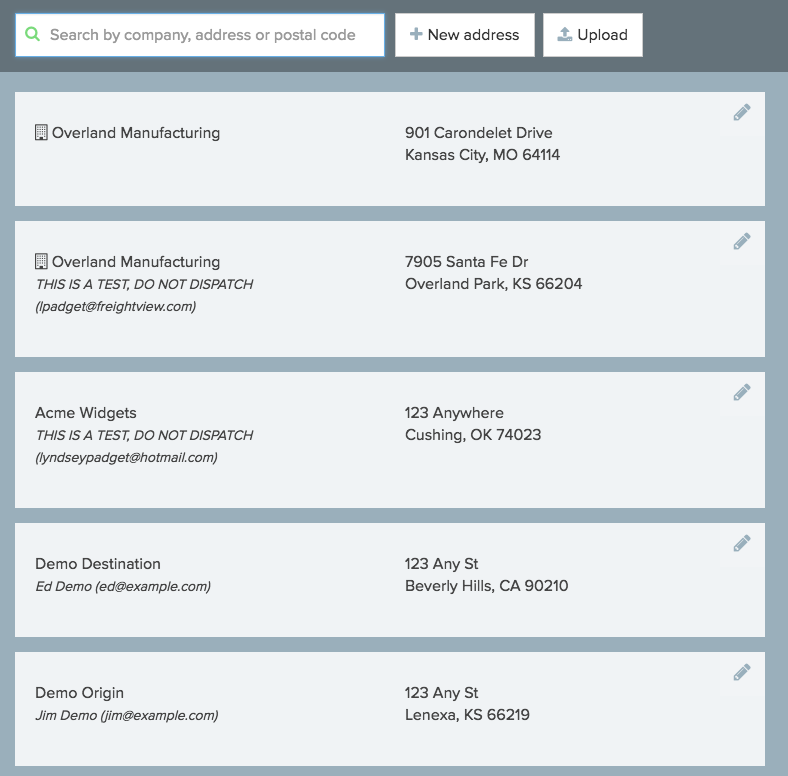 Freightview's address book is fully integrated into the quote screen to make your quoting process simpler and faster. We display relevant address book entries in a dropdown as you type in your origin/destination, so you can quickly select all the locations you ship to and from. If you would like to access the address book to view or modify entries, you can click the "AZ" button to the right of the origin/destination fields. Your company locations are automatically added in as the first address book entries. When you book a shipment on Freightview to or from a new location, it automatically saves to your address book. If you would like to add a new location to the address book manually, you can click the "A" button to the right of the Origin/Destination fields and click "add new address." Our density calculator allows you to determine the pounds per cubic feet for an item. 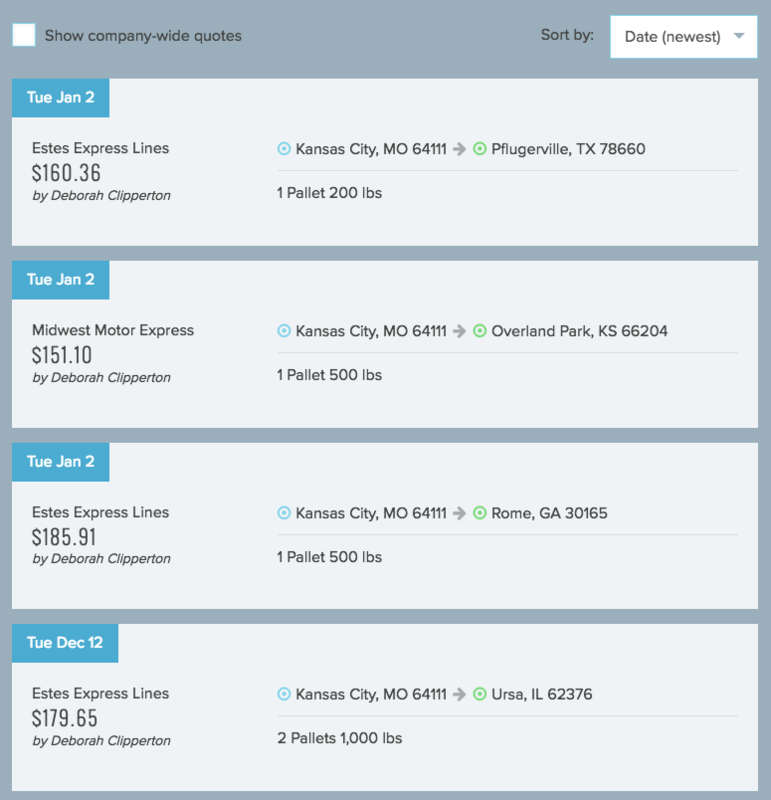 This can help you determine your freight class so you can get the most accurate rates from all your carriers.